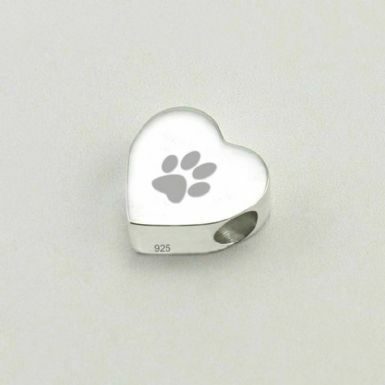 Heart Shaped, Memorial Charm Bead in Sterling Silver for Pet Loss. Personalise this lovely charm bead with the engraving of any words, names or dates of your choice. 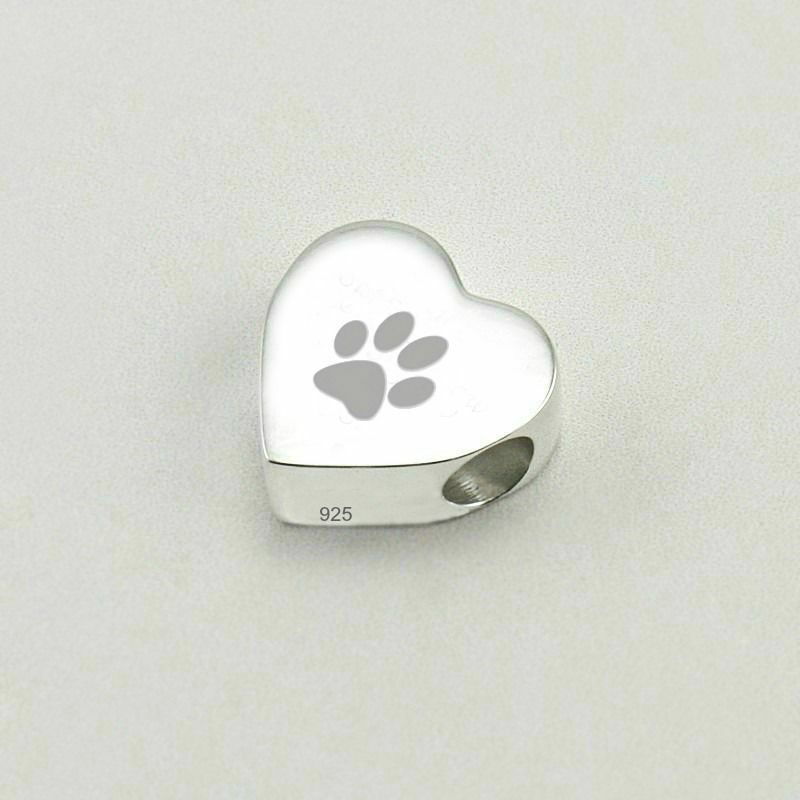 The front is ready engraved with the paw print as shown. 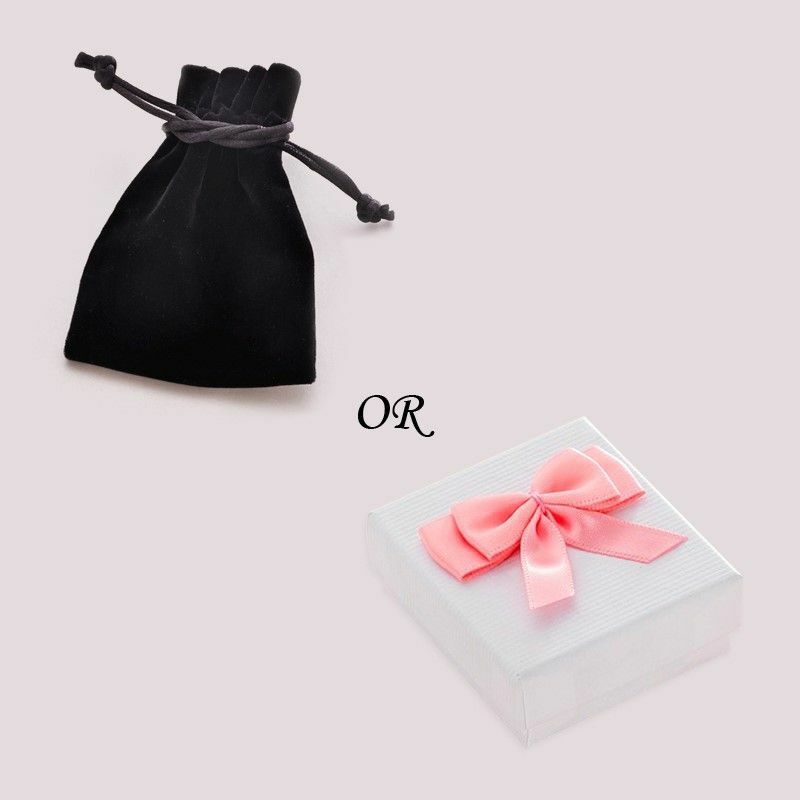 Personalised engraving is included in the price. A high quality .925 Sterling Silver charm bead suitable for most popular snake chains including Pandora. Bead Size: 15mm x 15mm. The hole through the centre of the bead is 5.5 mm in diameter. Engraving: Max. 20 Characters per side, please count any spaces. Choose letter font style from list.